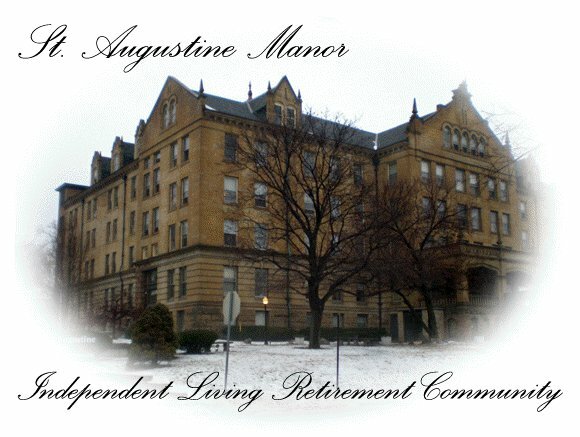 At St. Augustine Manor we are passionately committed to making a difference in our residents’ lives by providing service of highest quality and value in a supportive environment, promoting the health, independence, and social interaction of seniors. We are currently taking applications for individuals 50 or older Monday-Friday from 9:00 to 4:30 pm. 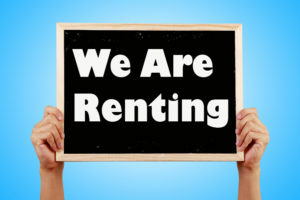 You may phone our office at 309-674-7069 and our staff can complete an inquiry form and schedule an appointment for you to complete a full application and visit a unit. 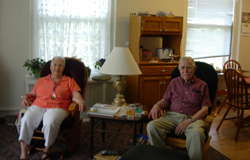 Family living in a home away from home where friends greet one another and delicious meals are prepared and served by Barrack’s Cater Inn staff in a lovely dining atmosphere. Studio, one, and two bedroom apartments with private bathrooms. Most have kitchenettes. For residents’ convenience, St. Augustine Manor maintains a grocery/gift shop, library, aviary, billiards room, small gym, ceramics studio, crafts room and coffee lounge. Creativity abounds with ceramics classes held weekly in the Dot Bohan Ceramics Studio. Everyone feels lucky at Bingo! & Friends enjoy delicious complimentary coffee in the Manor Café. Free wireless internet, or rocking in one of the comfortable chairs on a flower-filled veranda. Spirits are renewed in a beautiful chapel with daily religious services. 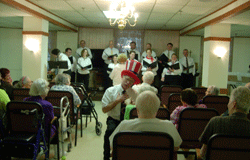 It’s all here under one roof at St. Augustine Manor Retirement Community. Come on in and get excited about your “New Home” and visit St. Augustine manor’s great management team headed by Georgia Butler, Property Manager.